Provides comfortable effective stimulation through a unique, silver printed conductor; Flexible yet sturdy construction offers increased durability and ease of removal; Soft, conformable lead wire connectors offer superior grip to lead wire pin. Are your patients sidelined by sports injuries, repetitive strain disorders, and/or post-operative swelling in the elbow? When used with electrostimulation, the electrode elbow sleeve can provide therapy for swelling reduction and pain management anywhere at anytime. This electrode garment is ideal when used in therapy for Carpal Tunnel Syndrome, the electrode glove also supplies electrical stimulation with various modalities in treatment for arthritic pain, RSDs, post-operative swelling reduction, and pain management. Are your patients sidelined by sports injuries, repetitive strain disorders, and/or post-operative swelling in the knee? When used with electrostimulation, the electrode knee sleeve can provide therapy for swelling reduction and pain management anywhere at anytime. 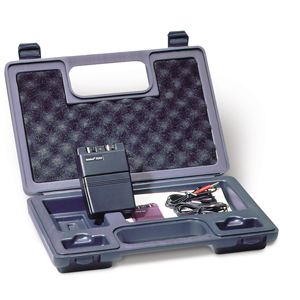 Reduce swelling and control pain by delivering electrostimulation 360? around the knee or calf. Sufferers of diabetic foot pain, sprains, and fractures in the feet and ankles, and other podiatric ailments now have an easy, in-home treatment option: the electrode sock. The electrode sock is an electrode garment that provides stimulation to the entire foot and ankle to increase blood flow, thereby reducing swelling and associated pain. Channels: Dual, Isolated between channels. Modes: Burst, Constant, Modulation. Pulse Amplitude: 0 to 100 mA Peak. at 500 s/channel. Pulse Frequency: Adjustable, 2-120 Hz. Cycle On/Off: 1-30 sec. On Ramp: Adjustable 1-8 sec. Battery Life: Approx. 70 hours. Waveform: Modified square wave with zero net direct current. *All values have +/- 10% tolerance. Carrier Frequency: 4000Hz Fixed. 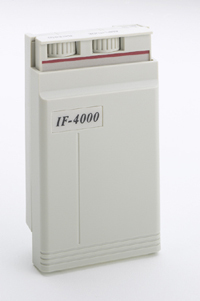 Difference Frequency: 1-150Hz Adjustable. Four Frequency Shifts: Continuous, 1/1 abrupt, 8/8 abrupt, 10/10 ramped. Wave Form: Symmetrical Bi-Phasic Square. Power Source: 9 Volt DC Adapter or Alkaline 9V battery(9V battery not recommend for its short life). 1-Year Manufacturer Warranty System Includes: Stimulator, Lead Wires, 4 Self-Stick Hypoallergenic Disposable Electrodes, 9V Battery, Hard Plastic Carrying Case, Instruction Booklet. 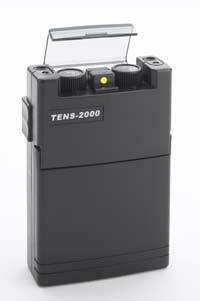 The Intelect TENS Unit is used for Symptomatic Relief and Management of Chronic Pain and Acute Post-Surgical or Post-Trauma Pain. Long known for innovative clinical electrotherapy devices, Chattanooga Group now offers a new, portable, battery-operated Intelect TENS device that offers fully adjustable parameters including frequency, pulse duration, three modulation modes, and a timer. The multi-electrode back brace is extremely effective for patients who have difficulty applying traditional electrodes to the lower back, develop skin irritations with adhesive electrodes, or for patients who have difficulty with electrode adherence due to excessive perspiration. All ReliaMed® TENS units have protective caps over the amplitude adjustment knobs to prevent unintended changes to the pulse amplitude. 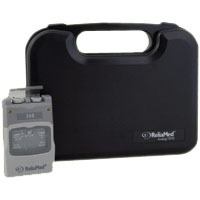 All ReliaMed® Electrotherapy units come in hard-sided protective plastic cases. All ReliaMed® TENS units have protective caps over the amplitude adjustment knobs to prevent unintended changes to the pulse amplitude. All Digital ReliaMed® units (TENS, EMS, and IF) have a patient compliance feature that allows the prescribing doctor to monitor the patient's usage of the device. 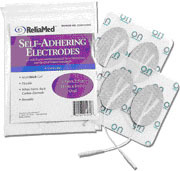 All ReliaMed® Electrotherapy units come in hard-sided protective plastic cases. Channels: Dual, Isolated between channels. Modes: Burst, Constant, Modulation. Pulse Width: 60 to 250 microseconds, adjustable. Pulse Amplitude (intensity): 0 to 80 mA each channel, adjustable (500 ohm load). Pulse Frequency: 2 to 150 Hz adjustable. Modulation Mode: Pulse width automatically varies is a cyclical pattern over an interval of nominally 4 seconds. Burst Mode: 7 pulses per burst, 2 bursts per second, 100Hz internal frequency of burst. Battery Life: 70 hour average (alkaline). Waveform: Modified square wave with zero net direct current. * All values have +/- 10% tolerance. This ankle brace utilizes conductive fabric technology. This is an excellent electrotherapy tool to effectively treat the ankle with the added features of variable compression and support. Conductive fabric electrodes securely affix to the garment, which fits easily on the patient and adjusts for comfort and support. This back support utilizes conductive fabric technology. This is an excellent electrotherapy tool to effectively treat the lower back with the added features of variable compression and support. Conductive fabric electrodes securely affix to the garment, which fits easily on the patient and adjusts for comfort and support. This wrist brace utilizes conductive fabric technology. This is an excellent electrotherapy tool to effectively treat the wrist and hand with the added features of variable compression and support. Conductive fabric electrodes securely affix to the garment, which fits easily on the patient and adjusts for comfort and support. This elbow support utilizes conductive fabric technology. This is an excellent electrotherapy tool to effectively treat the elbow with the added features of variable compression and support. Conductive fabric electrodes securely affix to the garment, which fits easily on the patient and adjusts for comfort and support. This knee brace utilizes conductive fabric technology. This is an excellent electrotherapy tool to effectively treat the knee with the added features of variable compression and support. Conductive fabric electrodes securely affix to the garment, which fits easily on the patient and adjusts for comfort and support. This shoulder brace utilizes conductive fabric technology. This is an excellent electrotherapy tool to effectively treat the shoulder with the added features of variable compression and support. 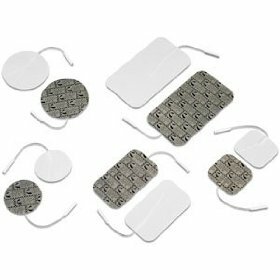 Conductive fabric electrodes securely affix to the garment, which fits easily on the patient and adjusts for comfort and support.